The last few weeks have seen a dramatic rise in the cost of fresh fruit and vegetables. The price of grapes, for example, rose from $2.99/lb to $4.99/lb. Cauliflower, lettuce, tomatoes, cucumbers, melons, bananas and many other fresh food items have increased in price. The rise in prices is a result of a weakened Canadian dollar. I may not understand the economics of the currency but what I do understand is that I am paying more for food even though my husband and I received no salary increase at the beginning of this year. However, we are still able to buy the fresh food we want to eat. 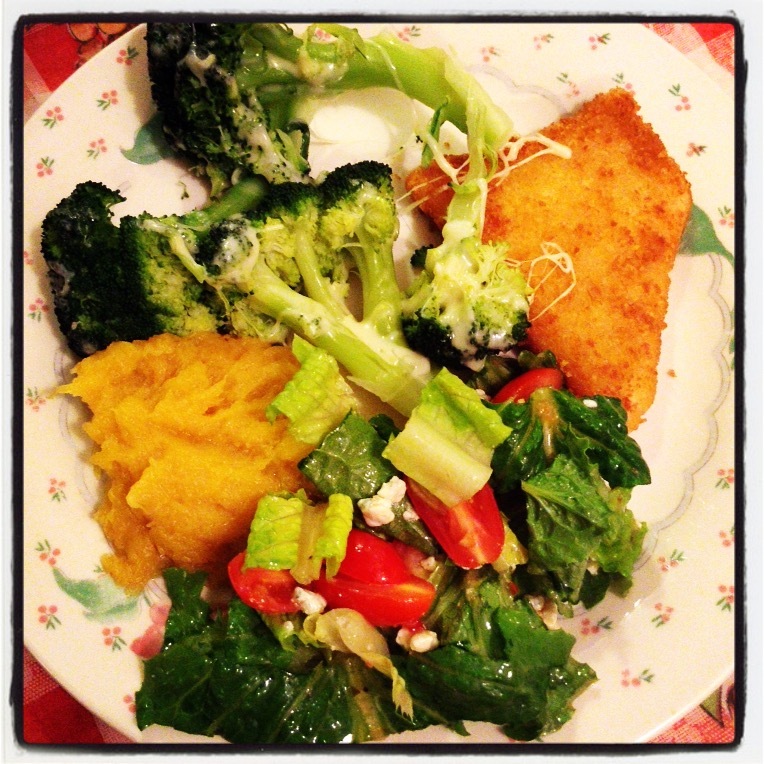 This week I am grateful that my family and I are still able to eat healthy dinners. For many the cost of fresh food and vegetables is unattainable. With rising costs, these families focus on cheap carbohydrates that will fill tummies but not nourish bodies. I am thankful for great blogging friends like you. Me too Michelle. I have met so many wonderful people through blogging with WordPress. It must be food time of day, Colline 🙂 I’ve just finished talking to Viveka about soup! It was! And all members of the family enjoyed it. Healthy, delicious, and beautiful presentation. What’s more to ask? That is ridiculously low! Has the drop trickled down to the cost of goods? Wow, that’s a tremendous increase in your food prices! Your dinner looks yummy. Thank you Patti. Doesn’t look like the prices are going to come down soon. We are blessed in this corner of the world that we have a both fresh food and a very large variety. In our climates, that we can buy fresh vegetables year-round is really remarkable. That is perfect John. I do miss living in a climate where fresh produce can be grown all year round.